Are you looking for a yummy (clean-eating) treat? 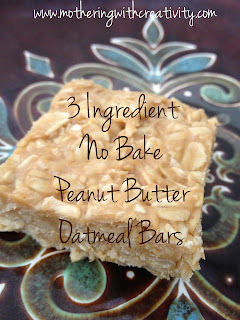 These three ingredient peanut butter oatmeal bars are A-mazing. And super easy. Yay! In a microwavable bowl, mix together 1 cup peanut butter and 1 cup honey (I use raw honey). Microwave for 30 seconds. Stir. Microwave another 30 seconds. Stir. At this point the honey and peanut butter should be melty and easily stirred. If not, put it back in for another 30 seconds until its ready. 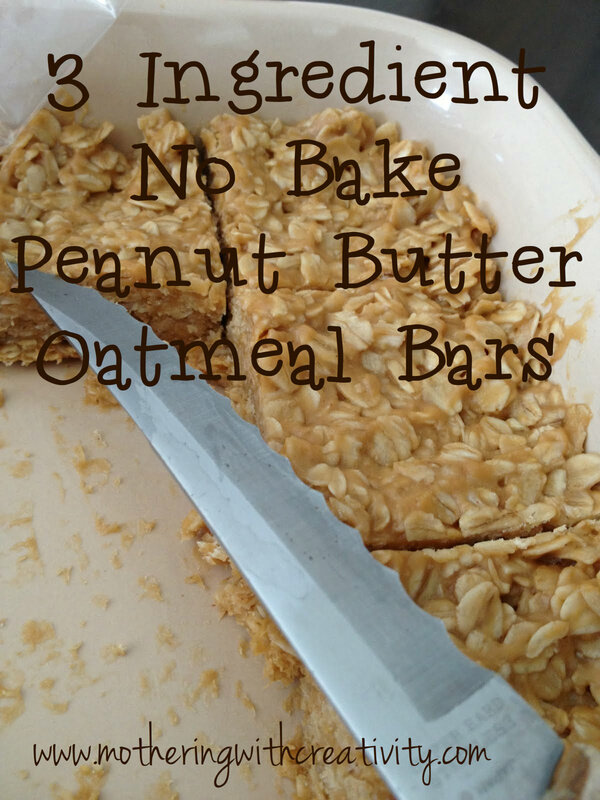 Mix in 3 cups oats. 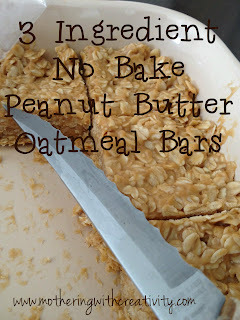 I use old fashioned oats (and buy them in bulk), but you could also use quick cooking ones, as well. Stir all together until well combined. Press into an 8 inch pan, cover with plastic wrap, and place in the fridge until firm. These are a perfectly sweet and healthy little dessert that is quick and easy to whip up! Enjoy!